Happy last day of September folks! Lindsay here . . . I'm just dropping by to share a few tidbits with you all, and to remind you that today is the last day of our Fall TPT sale! Hurry up and head on over . . . well, after you read this amazing post, OF COURSE!! 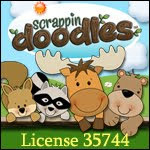 First off, I wanted to share one of my newest classroom assessment tools that I am so excited about . . . Now I now that the word "assessment" doesn't exactly make us all jump for joy, but I think you will love this idea too! 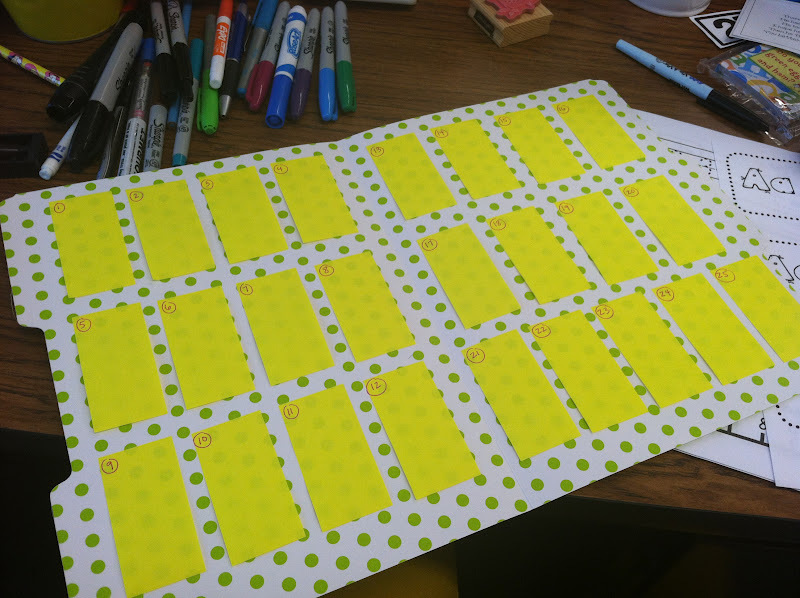 I had seen an idea on Pinterest using a file folder to keep notes about students in using post-its. The great thing about this idea is that as you fill up notes on a particular student, you transfer the sticky note to their work portfolio, assessment file (or whatever you use) and replace it with a new one. As I was perusing the isles of Lakeshore last weekend I found these ADORABLE file folders and new they were my inspiration! Anyhow, with November conferences right around the corner I am excited to put this new note-taking system into place in my classoom, and I hope you will find it helpful too! Next up to share: fall trees. Yes, I know the first day of fall was LAST weekend, but I wanted to share this easy peasy art project that my kinders did and LOVED! 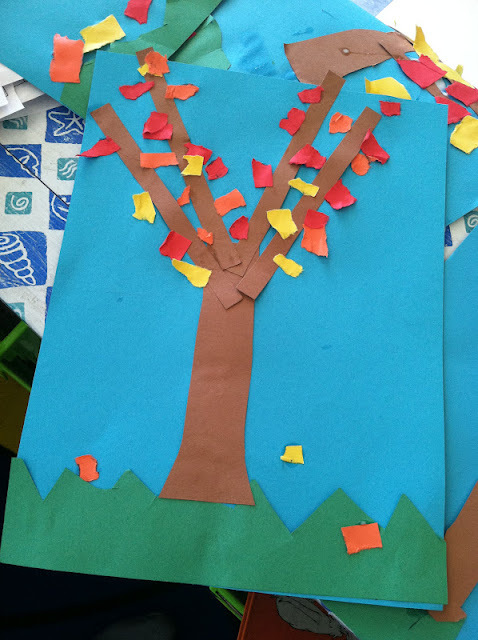 I typically do this project with red, orange, and yellow tissue paper squares, and my kidlets create leaves by scrunching the squares and glueing them into the tops of their trees. However, on the morning of the day of the project, I realized that I had stupidly forgotten to get the tissue paper (mommy brain?) so we tried tearing regular old construction paper instead. I must say, my kiddos LOVED the ripping of the paper. Well mostly. I did have one little darlin tell me that she quit. As in kindergarten. Altogether. After assuring her that she could, in fact, rip paper, my little cutie reconsidered and decided not to quit her educational career over our little fall art after all. Phew! My kiddos have been doing such a great job! 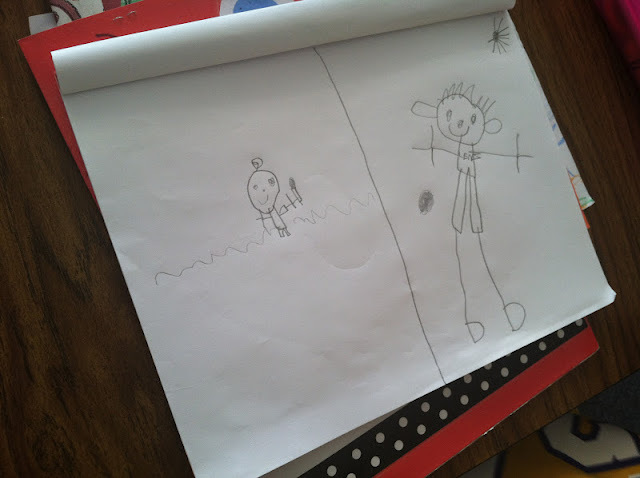 Last week we did a comparison drawing of what my kiddos did when they were little, and then things that they can do now that they are big! This kiddo drew himself as a baby with a rattle, and then playing basketball now that he is big. This cutie drew herself in a stroller as a baby (love, love, LOVE the two curly hairs on her head!) and performing on a stage as a big girl! Next up: introducing Labelling Lucy to my kidlets and talking about labelling words in illustrations. Well, that it all I have to share right now! Don't forget to take advantage of the fall sale going on in our TPT store - it ends at midnight! I'm off to grade some papers and watch football! Happy lazy Sunday afternoon! P.S. One more thing! 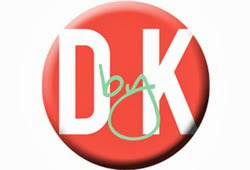 I was honored to be a featured teacher on Teacher's Lounge Radio today! 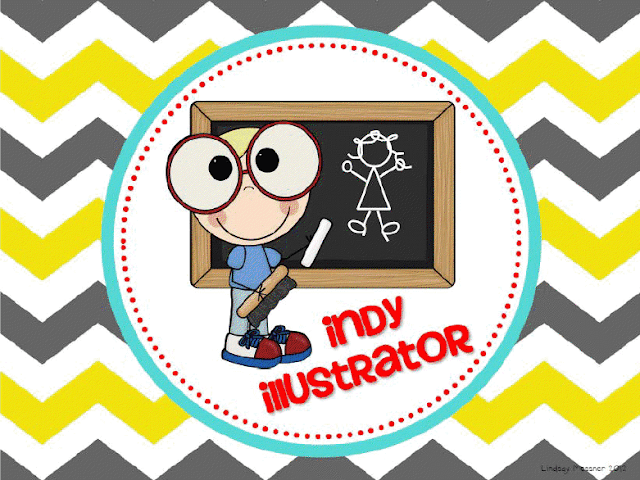 Head on over and check out the blog at teachersloungeradio.blogspot.com! Omg I'm obsessed with those polka dotted file folders!!!! And I hope you're feeling better!!! Great post! Love the polka dot folders!! I was looking for an easy fall art project so will be using your tree idea. Thank you! 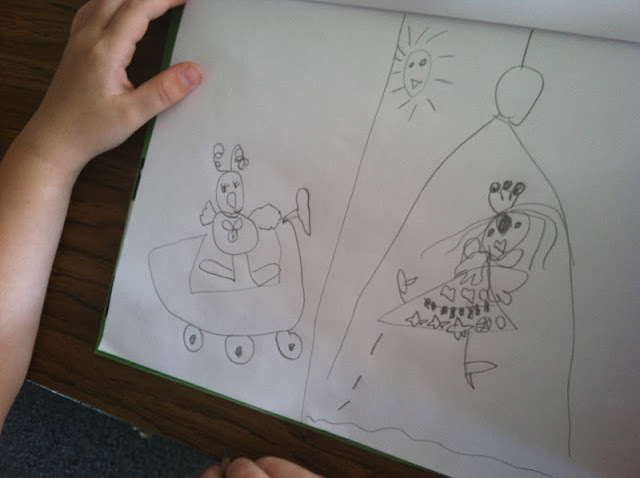 LOVE the writer's workshop pictures--thanks for sharing them with us! Those trees are very cute! 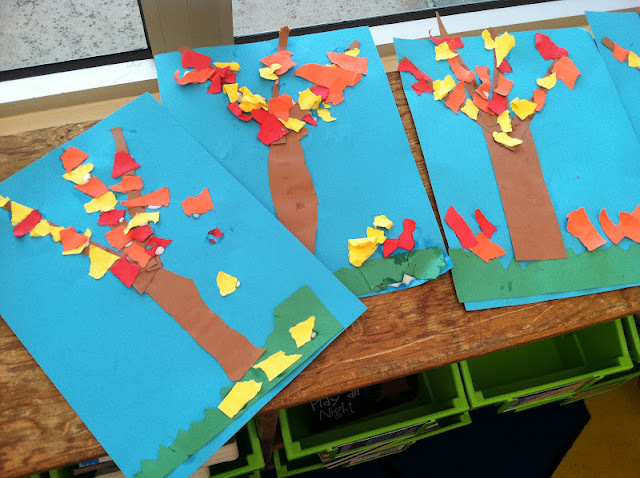 We did our fall trees this week too...using tissue paper. I stocked up last year! 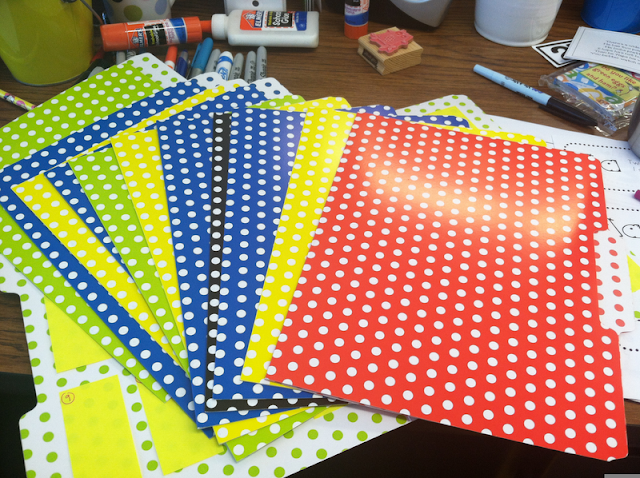 I have those polka dot folders too! love them! Love the Prettified Polka Dot folders!! Love those folders AND the trees! Thanks for sharing!